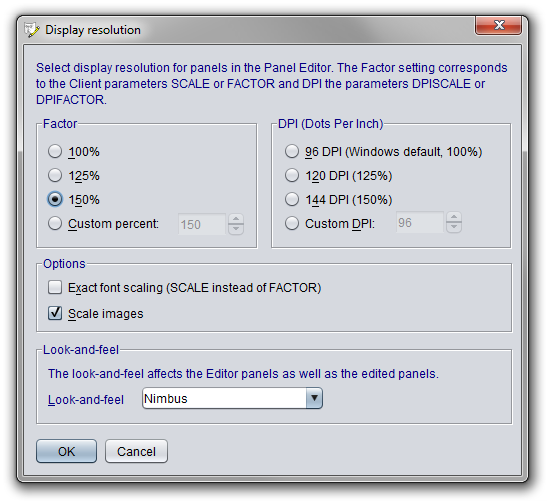 The Display Resolution can be customized for the Panel Editor. This enables to switch the Panel Editor into the settings that would apply for a NetPhantom Client running the application, e.g. to set 125% larger system font (common for new devices with high resolution "Retina" screens). At the same time, the rendering in the Panel Editor is now done exactly as in the NetPhantom Client using the selected look-and-feel. There are two types of font sizing available: Percent value or using Dots-Per-Inch (DPI). The two types are used in the Factor or Scale modes, effectively giving four types of font rendering. 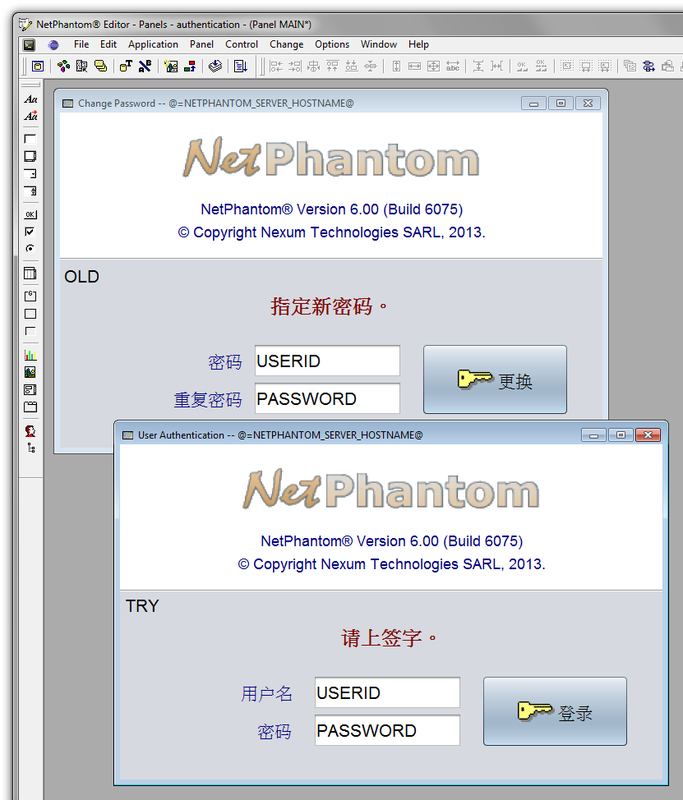 This type can be set with the Font and Image Client settings for the NetPhantom Client. To change the settings for the Panel Editor, select menu item Options - Display resolution. Choose the font factor or scaling values and if images should be scaled too.